Huyen’s* family was very poor. They all lived in a run-down, old one-room apartment. Huyen was blessed to be raised in a Christian family. Her mom and dad would tell her Bible stories, even when she was in the womb. 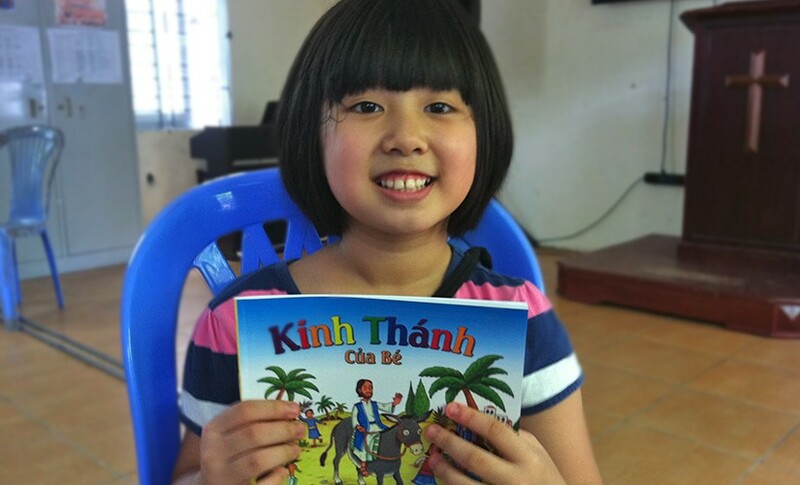 Financial partners of American Bible Society help provide Bibles to children and youth around the world, like Huyen. Their generosity is reaching young lives with the life-changing Word of God in some of the most remote, hostile and impoverished areas of the world, in places like Africa, South East Asia, Central and South America, Eastern Europe, and the Middle East. American Bible Society is grateful for our financial partners who help bring the Word of God to believers in Vietnam. Because of their continued support, more children like Huyen have their own copy of God’s Word—and are able to spread his message of love and redemption. Life in South Sudan can be frightening, but Wilma now knows God’s love.